Pan-fried or steamed pork and vegetable dumpling. Soybean broth with tofu wakame and scallion. 1 California roll, 2 daily fish rolls, spicy crunchy tuna, salmon avocado, tuna avocado, eel cucumber, Boston and vegetable roll. Served with soup or salad. Great sushi for a great price. I ordered for my office and only have a few complaints. - The chicken tempura lunch came with only two pieces of chicken, with additional tempura vegetables. This wasn't advertised and I'm a bit disappointed that there wasn't more protein provided. Besides these two minor complaints, everything was hot, fresh, and delivered on time. I will still be ordering from here again. While the order arrived late, it was worth the wait. The food was delicious and well worth the price. The bento box was filling enough that I didn't need to order an appetizer or any additional roll, however the short rib was excellent as was the sushi combo special. Yum! I love the sushi from this place! I would eat the shrimp tempura roll and the spicy crab with crunch from here everyday if possible. Theyre always on time too. Havent had a bad experience yet. Totally recommend. Surprisingly some of the best sushi in the city. All the negative reviews seem to be about delivery, but we live outside their zone so we always do pickup if we don't eat there. We've never been disappointed! My households go-to for take out sushi. Fresh ingredients, good portions, arrives fast. Lunch specials are a great value. Ate there in person a few times - nice employees. Solid standby. I've been ordering from Kyoto since moving to Greenpoint 6 years ago and the sushi, sashimi, and maki are always delicious, and never, ever fishy. Dine-in service is great, too, if you live near by! They are ALWAYS earlier than I Seamless expects them to arrive. I ate at their restaurant many times, so I just order my usual. They are very nice. 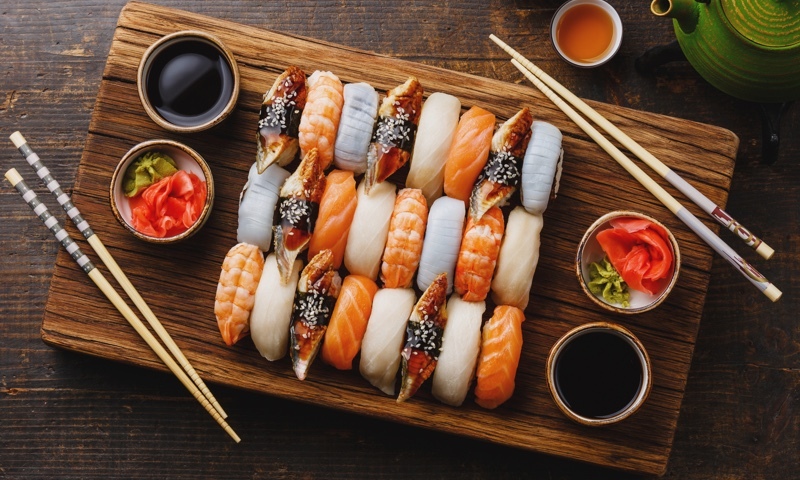 Whether you're craving a quick bite or looking to treat yourself to a delicious meal, you can now order your Kyoto favorites for takeout or delivery.